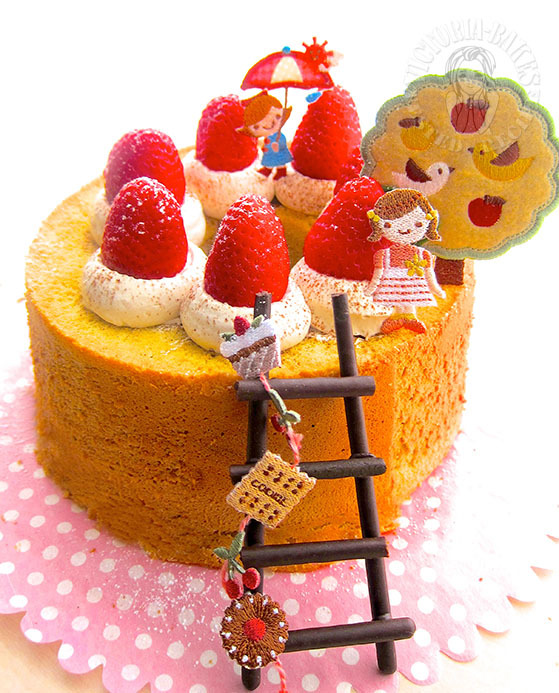 I wish you can bake one for me as a gift…..because Im eager to see what deco you can do up the cake for me. 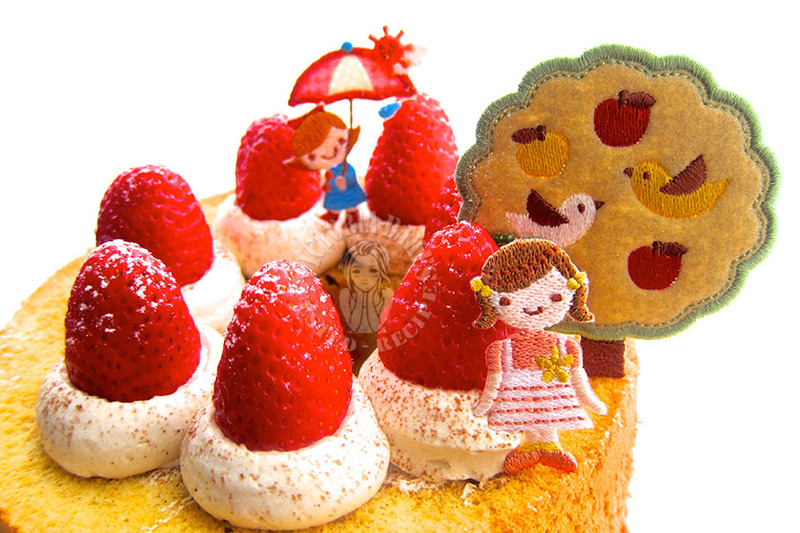 Your cake is just so cute! And perfectly baked, it rises really high and I can see that it is soft and fluffy! Sometimes I bake two times a day, not often, only when I have the mood for it! I like the chocolate stairs in particular. A chiffon cake has turned out to be so special under your bake! Always enjoy looking at your awesome decoration on your bakes! Your chiffon cake is so nicely bake..love it! 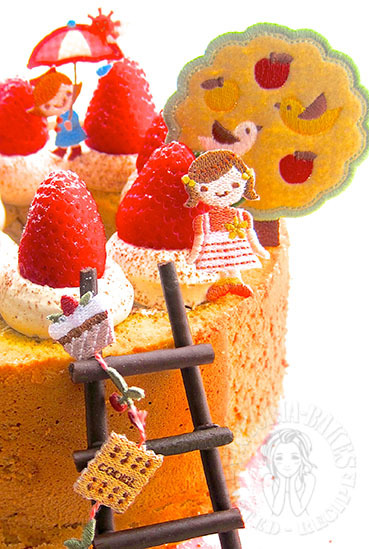 I\’m thinking about making this cake but I have a question! What do you mean by swirling the coffee mixture into the batter? Do I just roughly mix it and pour it straight into the tube pan without mixing it evenly first? Any reason I shouldn\’t mix the whole cake with the coffee mixture at say, maybe the egg yolk mixture? Thanks very much for your words of encouragement. What the action means is to first pour coffee mixture into the batter. Then use a chopstick of knife to \”cut\” around the batter… This helps to create a marbling effect. After this, pour the batter into the pan. This creates a different effect as compared to doing the marbling effect in the pan as the former method helps to create some light feathery coffee swirl marks on the cake due to the pouring effect. On the other hand, if u mix the coffee mixture into the yolk mixture, then ur entire cake is a coffee chiffon cake, vs a coffee swirl cake. Thanks for your reply!! ^ ^ Ok looking forward to making this soon! The cake is baking in my oven now!! I used a 16 cm pan so I made some mini chiffon cupcakes as well..
Hope it turns out well!! Hope to bring you good news! That\’s exciting! How did it go? Got kinda burnt halfway through. Also, I wasn\’t sure if i was swirling it right. I think i ended up adding too much water to my coffee granules, so there was too much liquid to swirl. Here are some photos! http://imgur.com/a/19Dh8 (I just unmolded it before dinner – Been in the fridge since Wednesday Night) I don\’t know why my cake does not unmould beautifully like yours, with the brown crust in tact! Hope it is better. Just cannot wait to unmold it! Heya, the second chiffon cake looks pretty good! Actually my unmoulding skill isn\’t perfect as well… You can see part of the \”skin\” has been peeled off my me during unmoulding… I hv also see how some bakers use hands to unmould by just gently pulling the sides and bottom off the pan with their hands. I\’m sure ur second cake will turn out good.. Thanks for sharing!! Yes it was much better! =) Still couldn\’t unmold it nicely.. But the colour was way more appealing. Oh the bottom was kinda ugly (Maybe coz I dropped my cake tin when I Inverted it >.<) so I'm serving it this way up instead. hehehe. I really love the texture and the strong coffee taste & flavour. Wow… Ur swirls look cool!! I mean seriously, the cake looks good… Nice and fluffy…. So we both hv something in common…. We took two attempts to get it right 😉 my first attempt was worse than urs…. It sunk…. Look forward to baking along with u someday soon. Do u hv a blog? ^ ^ Thanks for your compliments! Hope to get better! I don\’t have a blog.. Don\’t have enough time due to work.. It\’s a miracle I even find the time to bake! hehe..
Will be sure to continue following you! Hahaha… Tks… I just closed my Facebook account 😉 see u around again soon… U go girl!